Home › Forums › Website Questions, Suggestions, & Feedback › calendar subscriptions? This topic contains 2 replies, has 2 voices, and was last updated by TravisN000 1 day, 5 hours ago. 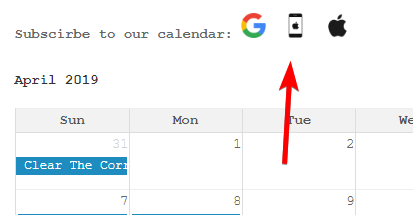 Any chance the calendar will be updated to support google / ical or similar format so that i can subscribe to it and have new events automatically show up on my calendar… I get notifications for GOATs this way, but always seem to miss events from DOD, as I don’t do facebook and don’t check the site enough. Done! I’ve added links above the calendar for Google, iCal, and webcal.